Sizes from 22" to 60" open diameter available. With sizes ranging from an open diameter of 22" to 60", The G2 Trolling Bags offer the most durable solution to your trolling speed reduction needs. Built using the heaviest materials in their class to withstand the constant loads generated from boats under power. Best used in pairs to evenly distribute the drag on both sides of the boat. Custom sizes are available as well. Every component of the G2 trolling bags is the best available. 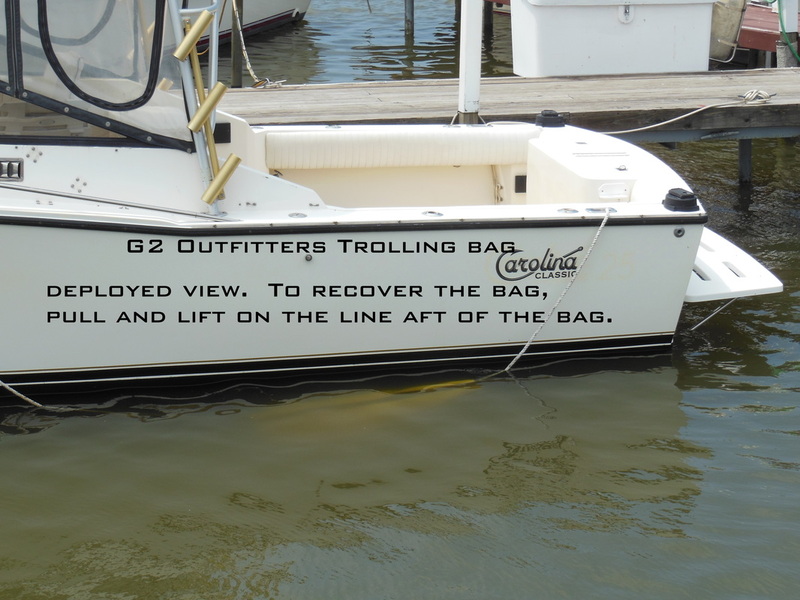 These trolling bags are mold, mildew, and UV resistant. After years of using other products for speed reduction for trolling, it became apparent that the other products, in some way had a shortcoming. Compare materials, construction and sizing when making your choice. Different suppliers of trolling bags can be vague about their actual size. This information is of extreme importance when making a decision on the best product for your needs. 18 oz vinyl coated polyester vs. the typical backpack coated nylon, and boat cover material used by other popular producers. 2" nylon webbing vs. 1" polypropylene and 2" polypropylene used by other popular producers. Tenara Goretex "lifetime" thread vs. poly "UV rated" threads used by others. When you're ready to order, send us an email: G2Outfitters@gmail.com and we'll send you a Paypal invoice for the purchase. Rigging examples and instruction download available below. We look forward to hearing from you. 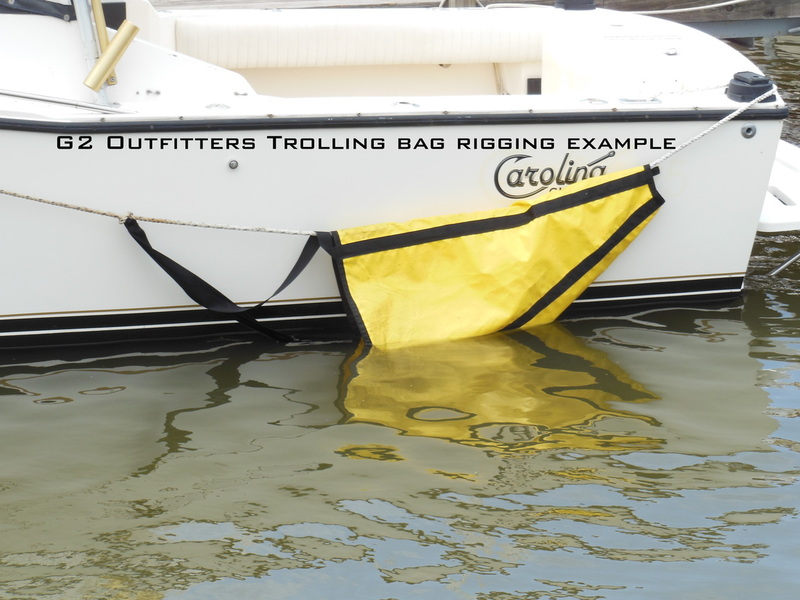 Trolling bags are shipped without packaging and will arrive in a USPS flat rate USPS box. Flat rate varies depending on box size.